Part of submissions you give in school are essays. Essay writing is introduced in school is largely due to prepare a student or individual for work which also involves writing essays of sorts. The practice of writing essays also develops critical thinking which is highly needed in any future job. There are many different elements involved in writing an effective essay. Examples in the page provide further information regarding how an essay is made and formed. 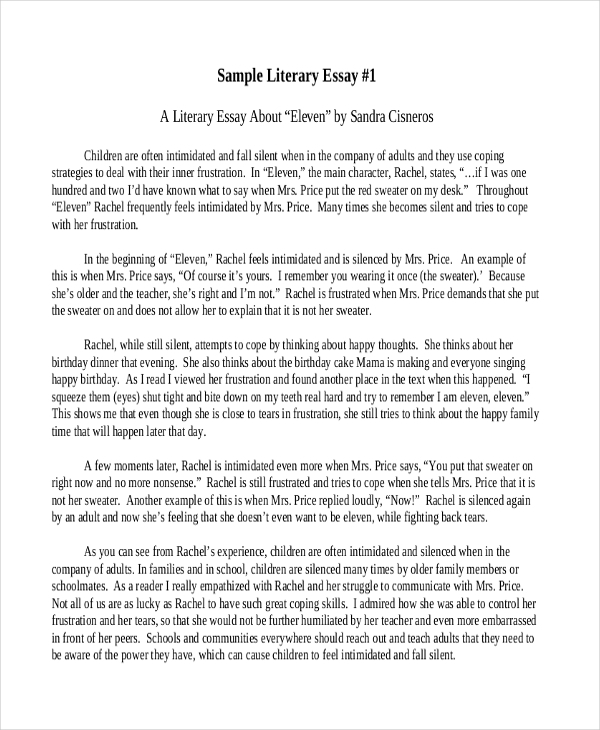 Scroll down the page in order to view additional essay samples which may help you in making your own literary essay. Make sure you read and understand the plot of the chosen material which includes the characters involved. Draw a character map or sequential events of the story. Review the notes indicated and decide what question you want an answer to regarding the material you have read. 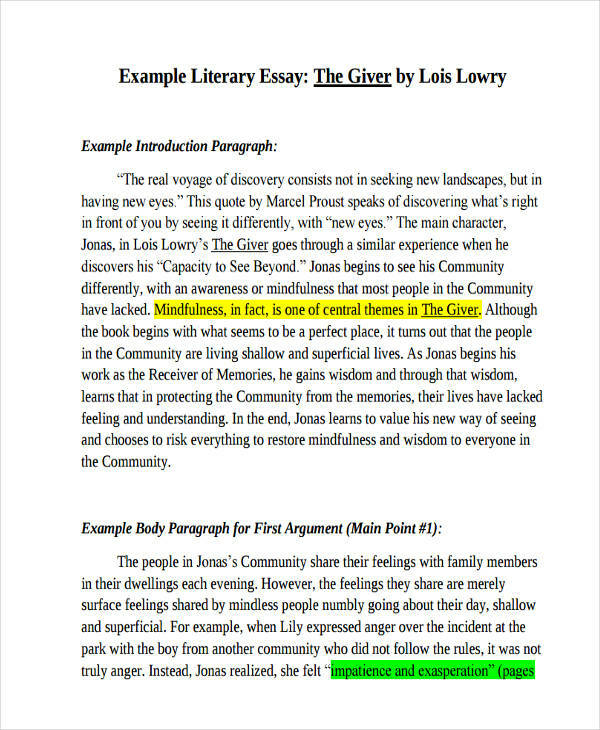 Essay examples in Doc seen on the page give added information on how an essay is structured. Feel free to browse the page and click on any individual download link button below a sample that you like. 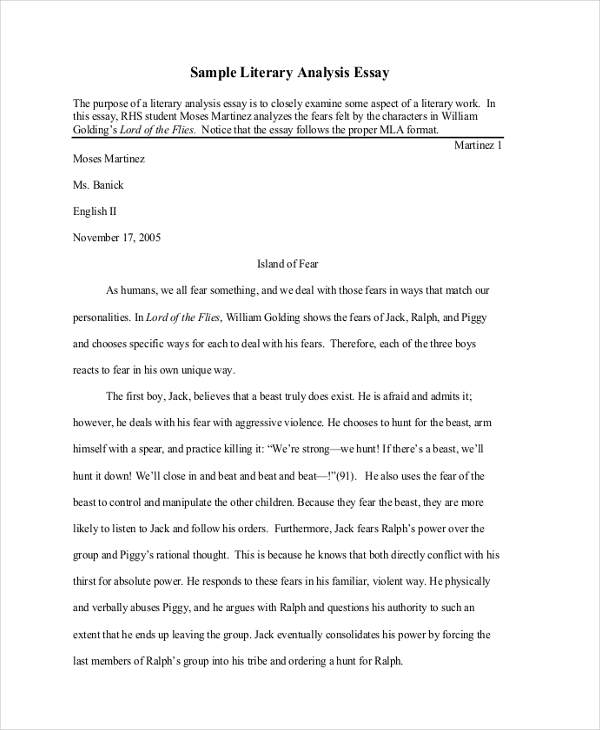 What Is the Format for a Literary Essay? As with all standard formats in literature, a literary essay has basically an introduction, body, and essay conclusion. Short essay examples are shown on the page to help you better understand the basics in writing an essay. These samples are all available for download via the download link button below each sample. What Is the Purpose of a Literary Essay? Literary essays are often made to convey a message. For students, it is a way to gauge their knowledge of books or stories they read. 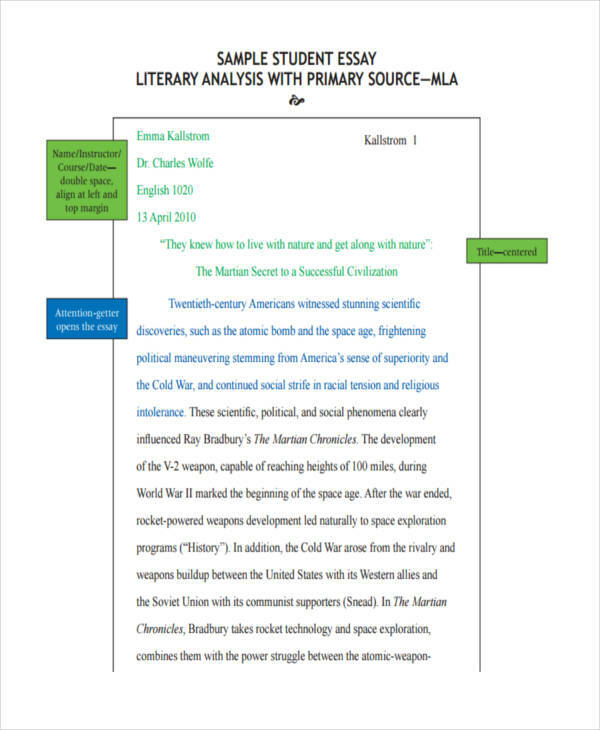 Sample essay outlines can be seen on the page to provide further information regarding a literary essay and how the components are placed to maintain the structure of an essay. Brainstorm all ideas and write them on a piece of paper and choose which will be best as your topic. Develop a sequence to your ideas. Numbering them helps you decide on the order. Make a flow chart in connection to the sequence of ideas starting with the introduction, body, and conclusion. Arrange each idea in an order which you want to take place in the essay. Ensure sequences support the flow of the essay and make the whole link with each other. Develop a conclusion which answers the introduction of your essay. Persuasive writing examples are seen on the page and should help you in the better understanding of a literary essay. All the samples are available for download. Just click on the download link button below a sample to access the file.